API 5 in 1 Test kits, convenient and easy testing of Aquarium water. 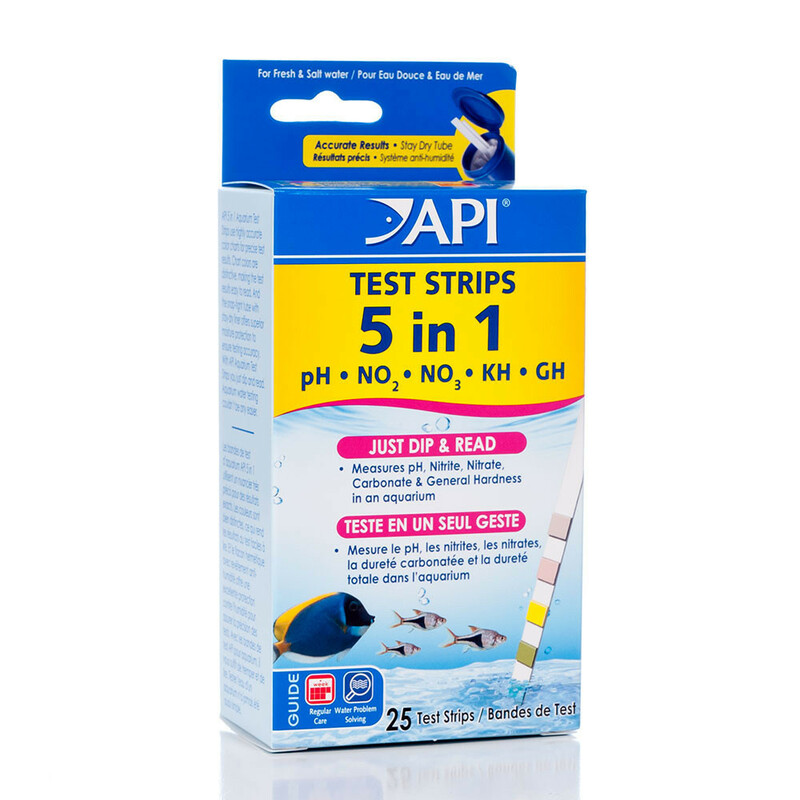 In order to maintain a healthy and vibrant Aquarium, regular testing of the water is essential. Certain chemicals are present in the water and when their levels rise or fall, it can cause potential damage to the fish and plants. Testing the water can give you a chance to quickly and effectively treat the water to prevent long term damage. 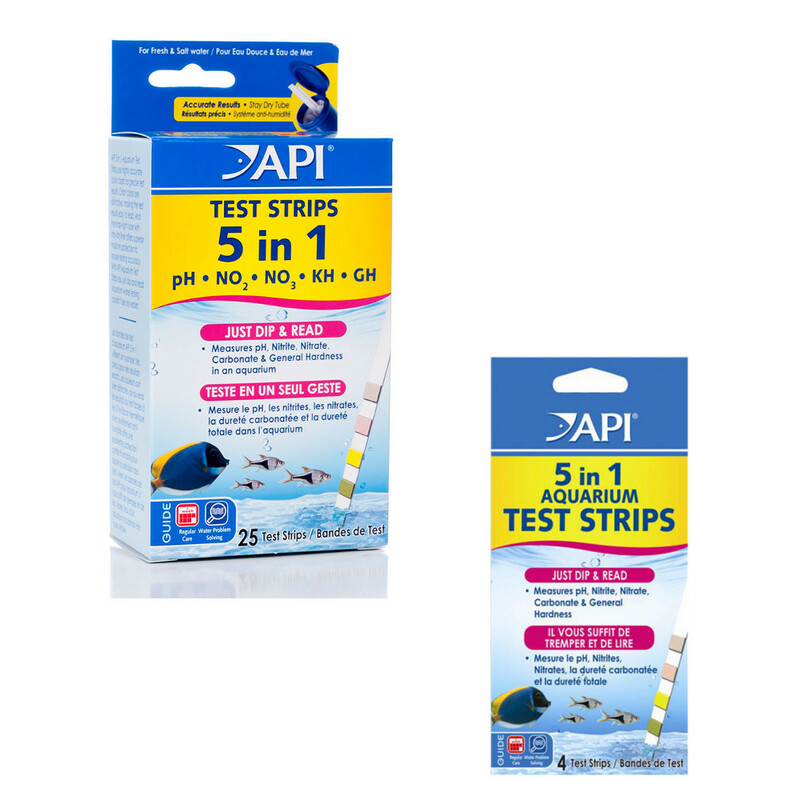 The API 5 in 1 Test Kit is an easy to use set. 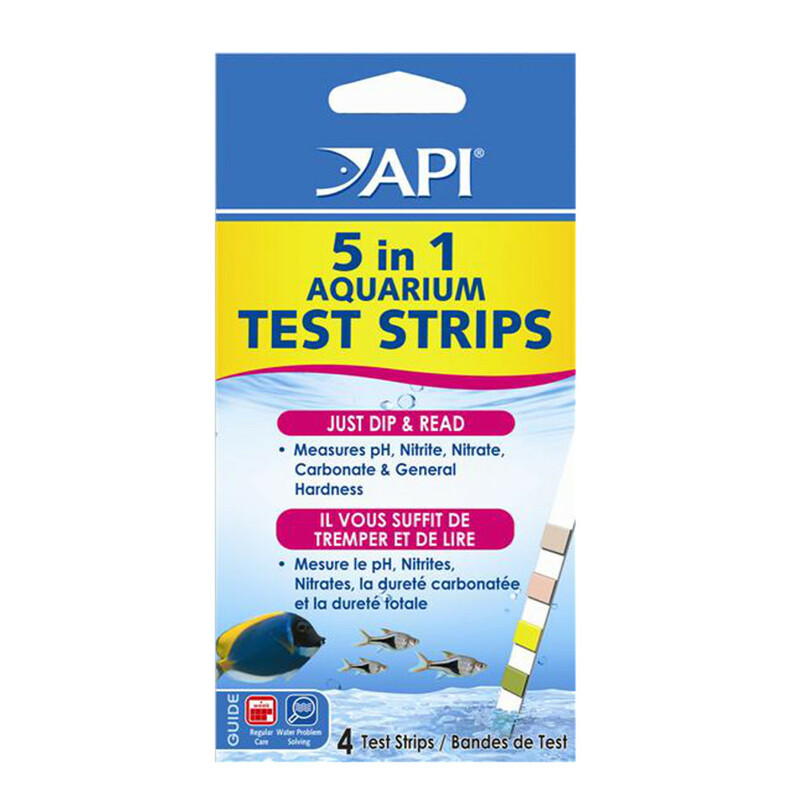 Simply dip a test strip into the water and compare it against the colour chart supplied.